It was while developing their portfolio of niche optical products that James and Michelle Sutton came into contact with other companies and have since entered into partnerships with them. This site is just one aspect of these partnerships. It enables Butterflies Healthcare to apply its award winning web design and customer service teams to the benefit of Altacor and their range of products. We sell most items through mail order either over the internet, by phone or post but if you are local to us you can visit our premises. (Please phone a few days before if you wish to buy a product as they are not all held in stock at our office). Our offices are situated in the hamlet of Warkworth just outside Banbury with views over the idyllic Oxfordshire countryside. Our knowledgeable staff, take and fulfil your orders and pass on any detailed queries they are unable to answer to James and Michelle. They are responsible for the day to day running of the order fulfilment process. 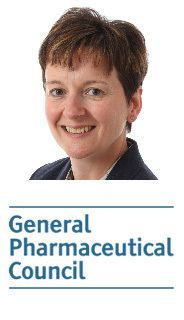 Michelle Sutton (BPharm MRPharmS) is a practising pharmacist who trained at the School of Pharmacy, University of London and has over 20 years experience working in a variety of high street pharmacies. In 2011 she won the Banbury Women in Business Award for an established business. She advises on the use of eye drops, vitamins and supplements, skincare, cosmetics and sensitive skin. 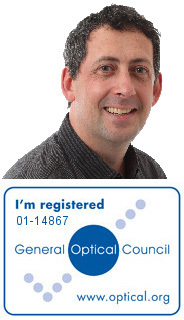 James Sutton (BSc MCOptom) is a practising optometrist who trained at the University of Wales, Cardiff and has over 20 years experience as a high street optician. He applies the knowledge he has gained during this time to offer advice on a range of optical matters including prescription swimming goggles and diving masks, dry eyes, blepharitis, macular degeneration and eye vitamins. In the case of our key brands we also supply direct to pharmacies, opticians and health stores so they may be available in your local area. Ask your local retailer and if they do not stock our products already, please ask them to contact us on 0345 838 6704 to place an order and become a stockist. All prices quoted include UK VAT where appropriate. If you are ordering for delivery outside the EU then VAT will automatically be removed in the checkout. However, please be aware that you may be charged import duties in the destination country, for which you are liable. To exercise your right of cancellation, you must give written notice to us by post or e-mail to the address or e-mail address shown below, giving details of the goods ordered and (where appropriate) their delivery. Butterflies Healthcare Ltd and Altacor Ltd understand that your privacy is important to you and that you care about how your information is used and shared online. We respect and value the privacy of everyone who visits Our Site and will only collect and use information in ways that are useful to you and in a manner consistent with your rights and Our obligations under the law. Full payment required at the time of order. Please note that credit card statements will be debited under the name of 'Butterflies Healthcare'.